BIG. YELLOW. SH1.YOU CAN’T MISS US. VeeHof Dairy Services are recognised as the leading experts in providing safe, holistic hoof care services and products for Dairy Herds throughout Canterbury, Otago , West Coast and Southland. Our work includes the treatment of lameness and hoof disease as well as a providing a cost-effective hoof trimming service that you can rely on completely. And by working with specially-designed ‘Wopa’ mobile cow crushes, our professional hoof trimmers can safely treat up to 300 cows per day in a completely comfortable and stress-free way for the animals. So if you need a highly-skilled team of hoof trimmers with a proven track record for the treatment of lame cows, you need to give us a call today. VeeHof Dairy Services are also the sole NZ agents for the award-winning range of Wopa ‘walk-through’ cattle crushes which we’ve imported and used successfully ourselves for many years. These internationally-recognised cow crushes contribute enormously to the efficiency of our hoof trimming services because of crush design, which greatly reduces the effort and stress on our trimmer’s arms, back and shoulders. The Wopa cow crushes are also world-renowned for their safety features which provides a comfortable working environment for the operator while restraining the cow in a relaxed, stress-free position. Users of these cattle crushes throughout NZ have all spoken highly of their ease of use, the safety of the operator and the lack of stress on animals being treated. Over the years, a number of our clients have also used Wopa crushes to help with calving. While a crush can be extremely useful in some calving situations, there are many safety issues to consider, so do talk to us first so we can give some guidance. If you need to up-skill yourself or your staff in the latest hoof care or hoof trimming techniques, you’ll find our regular one-day hoof trimming workshops throughout NZ will be exactly what you need. We also provide an advanced five-day hoof care training course which includes the treatment and prevention of lameness, as well as the correct procedure for fast and effective hoof trimming. 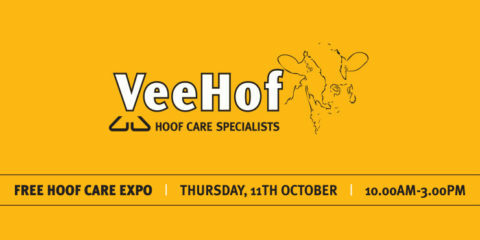 VeeHof’s director, Fred Hoekstra is NZ’s only fully qualified hoof care instructor and presents these training programmes and workshops himself and is recognised as one of NZ’s leading authorities on the prevention and care of lameness and hoof disease. Massey University have also recognised Fred’s skills and for the last few years he has been presenting a 2-day course on the theory of hoof care and practical hoof trimming to final year Veterinary students, where the feedback lists his sessions as the highlight of their week. Claw Blocks. As professional hoof trimmers ourselves responsible for the trimming and treating of diseased hooves, we highly recommend the ‘Demotec’ range of hoof blocks - claw blocks from Germany . These are very easy to fit and bond quickly, giving proper protection even in wet conditions for speedier recovery after hoof treatment. I would just like to pass on that we thoroughly enjoyed the workshop we had on our farm, Fred definitely opened our eyes to some of the issues we were having and really made us think outside the box. We are having a meeting with the farm owner to discuss the knowledge we have gained and we are hoping to implement some of the changes sooner rather than later. Please thank Fred on our behalf, to be honest I wished there were more hours in the day or we didn't have to do avo milking just so we could do more cows! High quality product, great customer support, excellent return on investment! I have piece of mind that both staff and animals are safe. Makes the job so much easier. I now have confidence that my staff can do the job properly without me needing to be there. The safety factor for animal and staff is great. It’s sheer ease to use and full accessibility with no bars in the way. Wish we had purchased it years ago. Great Investment! We found that cows generally recover faster as swelling from not being restrained properly in the cowshed is no longer. Lame cows are picked up and treated faster due to the experience being safer & faster. We also find it is just as useful for drenching and examining sick animals! Since purchasing the WOPA Crush we have improved the ease of capture and restraining of cows. Simple lifting of infected legs. No problems with back strain or arms getting crushed in Vet races. The expense involved with personal injury and treatment from trimming hooves has been removed. The whole operation has been improved and efficiently executed. Farm staff look forward now to trimming hooves. Staff are more willing to treat lame cows in a timely fashion. The cows being treated are securely held and comfortable. Staff are safe. The rubber mat was definitely worth purchasing. Increased Safety, Ease and Comfort when treating lame cows. Clients impressed by Facilities and Service. Best Crush on the market. The crush is very easy to use and kind to the cows. Cows are kept well-restrained while trimming hooves. We now treat cows quicker because it’s no hassle using the crush. Having such a safe and easy to use crush means less time treating each cow. This results in more prompt treatment which can ultimately mean less lost production. No more struggling with leg ropes to restrain the cow. The cows are relaxed and comfortable and the operator can concentrate on doing the best job on their feet! Our crush was installed Spring 2011 with a purpose-built race. The cows now flow well into the crush and being able activate the crush mechanism from the rear makes it simple and efficient for one person to capture the cow. We regularly use the crush for different things as well, e.g. AI and calving! Cows are more settled when they are well restrained making the job of trimming so much more enjoyable and safer. Lame cows are no longer a problem to deal with which makes the job a pleasure with no risk of a cow hurting herself trying to get away. Much safer for the person dealing with lame cows, thus less stress. The 1-day course is invaluable, considering the hours spent doing the hooves incorrectly – it is a day well spent! 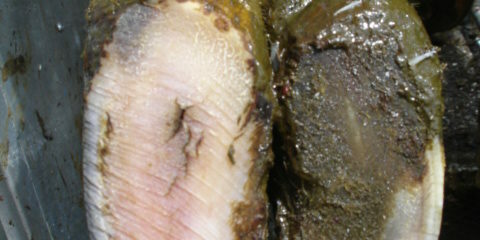 I finally realise how the hoof becomes damaged and why our procedures affect the healing process. The course also helped my understanding of the correct hoof shape and how it affects the cows locomotion. There's a lot to learn and lots of misconceptions about lameness and hoof trimming! Very thought provoking - worth doing - will challenge all you know about hoof trimming! There are good methods to be learnt along with good proactive ways to prevent lameness. This includes how to hoof trim, good hoof knife usage, etc.!! A very different approach to the looking at causes of lameness, probably quite different to what you previously thought caused lameness! A good course! It will teach you the proper way to trim cows hooves and do it correctly! Great guy! Makes you think more about what's going on with cows in yard, in paddock, what they are eating - or not! Good tips on trimming and how to use a knife! Beats any system we’ve tried before. Allows a pro-active approach to lameness. Easier, faster and safer therefore more people can do it. Great machine, makes trimming feet easy and safe. Saves my back and makes dealing with front feet a piece of cake! The safety factor for animal and staff is great. It’s sheer ease of use and full accessibility with no bars in the way. Wish we had purchased it years ago. Great investment! Brilliant! It’s just so safe. I should have done it years ago! What will I learn on the one day workshop? You will get a better understanding of how the hoof functions and what factors contribute to lameness. You will also get practical experience in working through the 5 step Dutch method of hoof trimming. This course is designed to create an awareness of the science behind hoof care and the skill level needed to be effective. Do I need to do the one day workshop before I do the Advanced? No, all the same material (plus much more!) is covered as on the one day course just in much greater depth, and with a much greater practical component. How often do you come to our area? We try to make Hoof trimming courses available around the country as often as possible – please check the training page for the current schedule. If you are able to put together a group of 8 people then we will do our best to accommodate you outside of the set schedule. What training would you recommend if I wanted to start my own hoof trimming business? The Advanced trimming course would be the very minimum as there is a lot of skill involved in proper trimming, and since cows can be damaged by bad trimming you do not want to start your business that way. I have just done a course with the Vets, why should I go to your course? Our approach to hoof trimming is often different from the conventional way of trimming that has been accepted in New Zealand for years. We believe that there are significant benefits for you in the method we will teach you. 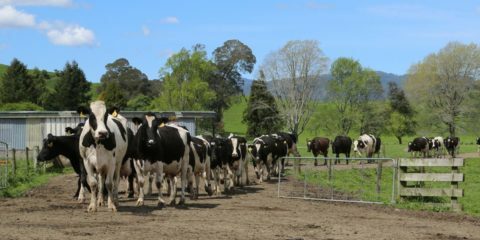 Getting to root cause of lameness I have come across the comment a few times that people are confused about the advice they are getting regarding lameness. There are contradicting messages going around from profess ..
OAD or TAD? … that’s the question OAD or TAD? That’s the question. When you hear a farmer talk about OAD (Once-A-Day) milking it is often noted that cows are so much happier. Milk production does not seem to drop t ..
FREE Hoof Care Expo Farm Owners / Share Milkers/ Managers: You’re invited to a FREE Hoof Care Expo LOCATION: 154 Coplands Road, RD2 Ashburton, 7772, Canterbury DATE: Thursday October 11 TIME: 1 ..
Do stones really cause a problem for cows? We recently held another Hoof Care Expo and the theme was “Are stones really an issue for your cows?” It amazes me how convinced people are that stones can penetrate hooves and tha ..